Islip Supervisor Croci has called for a 65 percent tax increase in the proposed 2013 budget to cover a $26 million deficit. Property owners in the Town of Islip are now facing a possible 65 percent tax increase to cover what may be a $26 million budget deficit. The proposed 2013 budget would result in approximately $225 per year increase for the average homeowner in the town. Angry residents were given a platform to express their opinions on the tax hike at a meeting on Tuesday, which focused on a local law allowing the town to pass a budget exceeding the state’s 2 percent cap. During his campaign last fall, Town Supervisor Tom Croci promised to reduce taxes, but at Tuesday’s meeting he pointed a finger at former Supervisor Nolan’s “fiscal irresponsibility.” Nolan reported used “rainy day” funds to cover budget gaps as opposed to raising taxes or cutting services. Town Comptroller Joseph Ludwig told Croci that Nolan elected to use the rainy day funding for the 2012 budget, rather than increase taxes, though Ludwig had warned him of the fiscal difficulties the choice would create in future years. 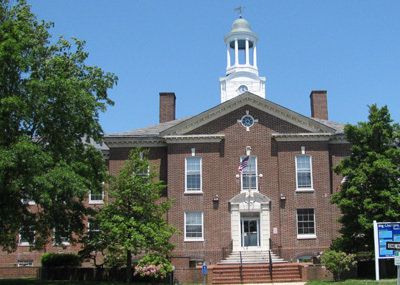 According to reports, the Town of Islip has kept property taxes at a minimum for decades. Already, Croci’s administration has made significant layoffs, which included the entire department-wide closure of Human Services, and in September he asked department heads to consider cutting their workforce by 50 percent. If the town does not raise taxes, the workforce would have to be cut by 31 percent. Though, some are coming to Croci’s defense, claiming the laudability of Croci’s honesty and willingness to do what it takes to repair the budget gap, the proposed 2013 budget puts the supervisor in a difficult position politically. Currently, the Town Board is composed of 5 republicans, and this move could have a devastating impact on the party in upcoming elections. Croci campaigned on a platform of reducing property taxes, and as a member of Sen. Lee Zeldin’s (R-Shirley) staff, he worked to get the tax-cap law passed. Nolan has defended himself, pointing out that the Republicans chose not to make any changes to the 2012 budget, and went on to create dozens of jobs to build political capital with political friends. Subject: LongIsland.com - Your Name sent you Article details of "65 Percent Tax Increase Called for by Islip"